WOODLAND — More than 700 students learned about career opportunities right in their home region from more than 40 businesses at the inaugural Woodland Days Career Fair, a partnership between Woodland Public Schools and the Port of Woodland to offer a career fair specifically designed for students considering living-wage careers after high school not necessarily requiring a college degree or additional education. 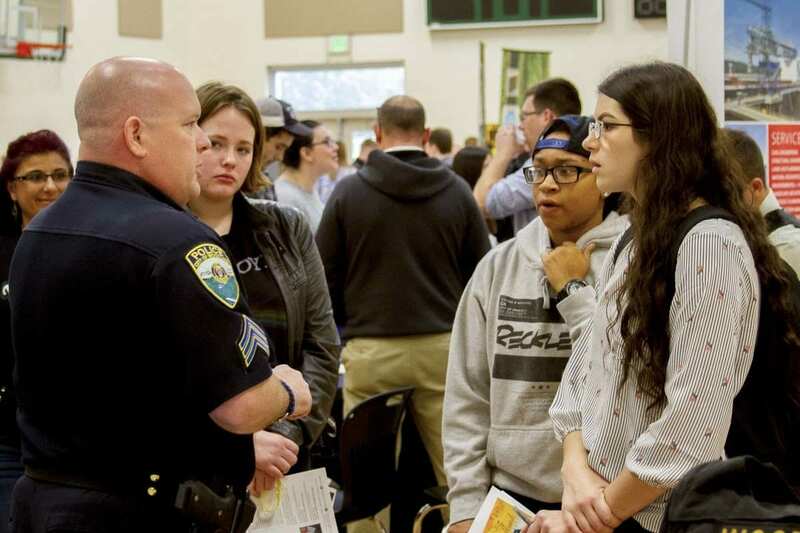 The partnership between the Port of Woodland and Woodland Public Schools stemmed from a renewed focus at the district level to align Career Technical Education (CTE) classes offered by Woodland’s schools with the needs of local businesses in Clark and Cowlitz counties. Marcum shared opportunities not requiring four-year college degrees including a story about his niece who now works as a dental hygienist after completing a two-year program to earn a starting salary of $80,000 a year. 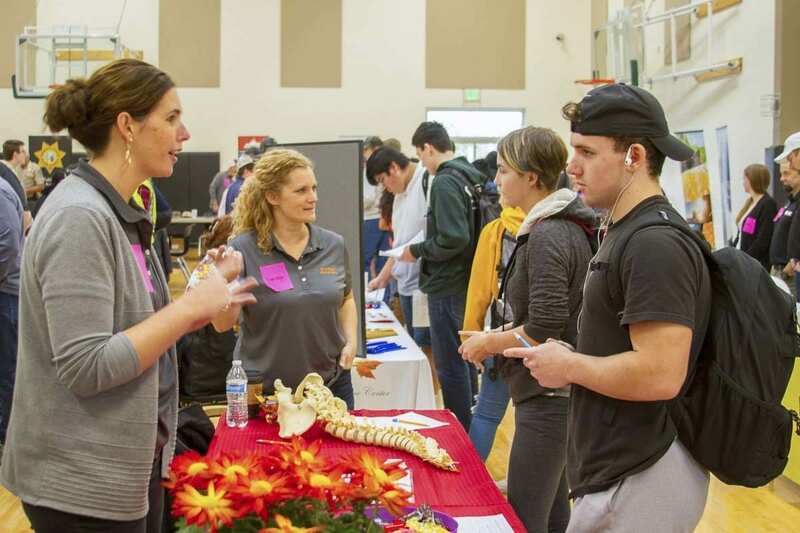 Local businesses and organizations chipped in to ensure the career fair’s success. Woodland’s Burgerville donated 50 gift cards to use as raffle prizes while the Grace Community Church lent 12 tables for businesses to use as displays.